It’s been 21 years since Philadelphia’s La Salle University last qualified for the NCAA basketball tournament, but they certainly know how to make a comeback. 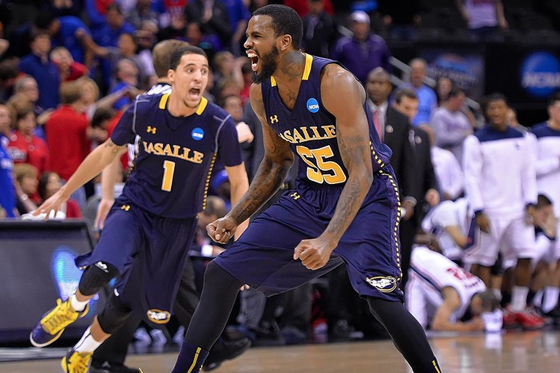 Knocking off Boise State in the first round, then upsetting fourth-seeded Kansas State, the upstart Explorers went on to beat Mississippi to land a place in the coveted Sweet Sixteen. 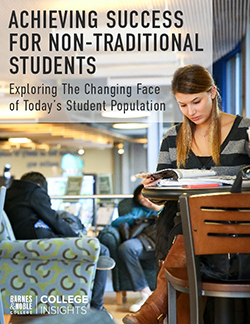 Since that victory, sales at the on-campus bookstore have gone through the roof. 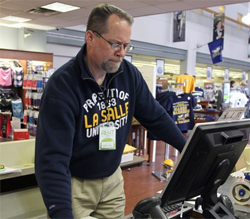 La Salle University Bookstore Manager Mark Allen tracks the online orders that have flooded the store since the beginning of March Madness. 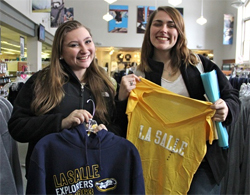 Allan has resigned himself to little sleep, working around the clock to keep up with the demand for La Salle merchandise, but his fatigue hasn’t dampened his enthusiasm for what’s happening on campus.